Below are some notes and advice for travelling to Argentina. This is not a definitive list and if you are unsure of anything or would like more information please do not hesitate to ask. Note: with regard to the advice on safety & security, health and entry requirements we advise you also check with your local government and well in advance of your departure date. Many of our trips involve moving about a lot, so our first advise is travel light. That said, if you are travelling with a lot of luggage, let us know in advance and we will work out ways to help you along the way. With this in mind we advise bringing just two pairs of footwear: a multi purpose pair of boots (which type would depend on the activities you are doing – if you are horse riding, make sure the toe is narrow enough to fit into stirrups) and a comfy pair of shoes for the evening. Water is also an important part of many of our trips. We often base our hiking and horse riding trips around visiting waterfalls, rivers or lakes so, if you like to swim, always pack a pair of swimming trunks. Even in the summer, throughout the Andes and the south of Argentina, the weather can be very unpredictable. There is always a chance of strong winds, which drop temperatures considerably, and in the high mountains you can be hit by a snow storm at any time of the year. Meanwhile in the Pampas and the northeast (Iguazú & Iberá) there is always a chance of rain. Our advise to combat the changing weather is layers, that you can easily take off and put on, topped off with a lightweight windbreaker raincoat – one that you can easily fold up. And if you are travelling to the south or any part of the Andes, even during the summer, we advise you bring warm clothes for evenings and early mornings: scarf, gloves, woolly hat etc. If you are spending long hours in the sun – hiking, kayaking or horse riding for example – irrelevant of your skin type, you need a very strong sun-cream – this is particularly important if you are going to the mountains. To give you an idea of how serious this is, within the communities who live in the Andes the cases of skin cancer, conjunctivitis and other problems associated with the sun have gone up exponentially in the last few decades. A zinc cream, like cricketers use, for extra nose protection is a good idea as well as long sleeve shirts, a wide brimmed hat with a strap to keep it from getting blown off and a very good pair of sunglasses – ideally a pair that are especially designed for the high mountains. There has been a lot of noise on the news about the Zika virus & Dengue fever and there have been cases in Argentina. However, they are both rare and there is a very easy way of avoiding both: Insect repellent and plenty of it. The areas of risk are only in the north of Argentina however there are mosquitos across the country so always have a can of repellant with you. We strongly advise the use of a well-fitted ASTM/SEI or ISO 2010 approved equestrian helmet equipped with a retention harness, which must be fastened at all times whilst on horseback. It is not part of the culture in South America to wear a hard hat and it is unlikely any of the people working on your trip will be wearing one. However, many travel insurance companies will not cover you if you are not wearing one. As mentioned above, the sun is also a problem so to keep your head safe and in the shade there are special types of hard hat covers with a wide brim. Beyond a hard hat, it is important you have footwear that the toe fits easily into stirrups and keep in mind stirrups tend to be narrower in South America. Otherwise, we advise you wear what you feel confident and comfortable riding in. In our opinion accidents happen when people get nervous, which is generally when they are outside of their comfort zone so bring what you are used to riding in, what you feel comfortable and safe in. Torch (head lamps / minder’s lamps are generally the most handy and always bring spare batteries!). Roll mats (again these are generally provided though you may prefer to bring your own). A duffel bag (or some sort of bag that can be squished into a ruck sack or onto the back of a mule). Travel pillow that squashes into a small bag. Not strictly necessary but can make the difference between a bad and a good night sleep. Note: during the horse riding camping trips the saddle blankets are often used for the roll mats. Our trips involve a wide range of activities including fishing, skiing, kayaking amongst others. If you are bringing your own kit or need further advise for such an activity please contact us. Much of Argentina has poor or non-existent Internet and mobile phone coverage. If you are travelling into the countryside we suggest you plan to be ‘offline’ for the duration of your stay – this includes many of the accommodations on your trip, even if they list having coverage on their individual websites. Note: If you need guaranteed mobile phone coverage / Internet access please let us know. In the evening Argentines generally eat much later than many countries. It is quite normal for people to start eating after 22:00 and most restaurants will be almost empty until 21:00. You can try and hurry people here though it often has the opposite of the desired effect: we will keep you updated throughout your trip of any major changes though when confronted by a slow waiter, gaucho etc. it is best just to sit back, put your feet up and order another drink – we guarantee things will happen, eventually. Check in: 2 hrs before departure. Flights missed due to delays are non-refundable. It is advisable to insure against such an eventuality. Traffic drives on the right, the speed limit is usually 80 km/h, and a valid UK driving license is all that is required to drive as a tourist, provided you are at least 18. An International License is not strictly necessary, but there is no doubt that in remoter areas the translation and photograph do help. Note on road safety: the Argentine roads are relatively safe though we advise people to never trust a sign, traffic lights, another driver’s signal or anything else one might automatically trust in their own country. It is always best to double check here. Paying with cards can be a frustrating process in Argentina, our guests who have had the least problems have had a PREPAID TRAVEL CARD. We advise you to bring at least two types of card as well as some US dollars with you to Argentina, we then advise you to exchange some US dollars to Argentine pesos on arrival, this way you always have several ways of paying for services. (Many exchange shops do not like small bills, it is advisable to bring only 100 U$D notes). Cards are widely accepted but there are also plenty of places that do not accept cards and often there are issues with foreign cards. Cash machines, that dispense Argentine pesos, are common place throughout Argentina. The Argentine peso is unpredictable at best, we advise you to ring us before your trip for the most up to date information about exchanging money and paying for things in Argentina. And the average wage is approximately 700 U$D per month. Note: it is not customary to tip taxis. You must have a valid passport. If you do not already have a passport you should apply for one now, as it may take some time. Please check the date that your passport expires. In some countries you may not enter unless your passport is valid for at least a further 6 months beyond the date you complete your trip. It is advisable when traveling to keep a photocopy of your passport’s photo page separately from your passport (along with a photocopy of your insurance policy). UK, US and Irish citizens currently require a valid passport but no visa for stays of up to 90 days, providing the visit is for touristic purposes only. For other countries please check with your local consul for update information. Notes: Passport, visa and vaccination requirements are liable to change at short notice. We are not responsible for displaying the correct information here but do our best to keep it up to date. For official and current entry requirements into Argentina and Chile please contact the corresponding Consulate for your country. Travellers should be up to date with routinely recommended vaccinations according to the UK schedule. No mandatory health certificates are required for entry into Argentina, except a Yellow fever vaccination if you are coming from an infected area. All travellers are advised to visit either their personal physician or a travel health clinic 4 – 8 weeks before departure. Note: the above section is based on advise of the British Home Office. However, we advise all UK citizens to re check this advise at the Home Office website (https://www.gov.uk/foreign-travel-advice) and the website of the National Travel Health Network (https://www.nathnac.org) and for all non-UK citizens to check with their country of residence. Voltage: 220V (110V in some hotels). 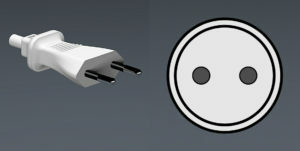 Plug sockets: Type I (like in Australia and New Zealand). And in older buildings you may find Type C ( like used on mainland Europe). 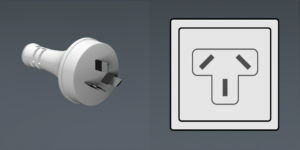 Note: when using all plugs we advise caution, particularly with the old Type C plugs and if you have special electronic equipment check with an expert in case you need to use a voltage converter or similar equipment.